A principal benefit of membership is the availability of a wonderful environment in which to play, watch or study chess with others interested in the world’s greatest game. A membership provides eligibility for TBCC tournament participation, private/group lesson, Tutors Cloud's tutoring services, and open events. * The facility fee (500 yen) may be additionally charged for lessons. 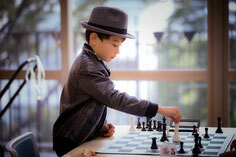 * TBCC member can receive a 10% discount on purchase of a wide variety of chess products. The National Chess Society of Japan (NCS)'s annual membership is available for purchase thru TBCC. Please contact us for a membership registration.